Diabetes affects people from all walks of life - from the very young to the very old - and is now considered an epidemic by the World Health Organisation (WHO). Diabetes occurs when the sugar (glucose) level in the blood is too high. This happens when the body is not burning up carbohydrates properly due to a defect in the pancreas, the gland that produces insulin. 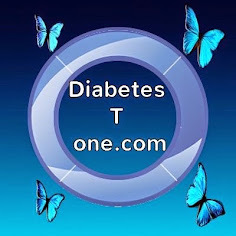 Insulin is the hormone which keeps blood sugar levels within the normal healthy range. Diabetes may be present either when no insulin is made or when insulin is made but not working properly. disease, there is no known cause and no cure. A person with type 1 diabetes makes no insulin and therefore needs to inject insulin to regulate blood sugar levels and remain healthy. being overweight, but can also be caused by other medical conditions and medications, this condition responds well to weight loss through dietary regulation. Sometimes weight loss is not enough and tablets are required to help the person's own insulin to work or additional insulin may be required. This type of diabetes is also known as adult-onset or maturity-onset diabetes. detection gives the ability to protect against heart attack, stroke and vision loss which is due to high blood sugar levels over years. Diabetes is detected by a simple blood test that detects how much glucose is in the blood. The onset of type 2 diabetes is gradual and therefore hard to detect. Some people have few early symptoms and are only diagnosed several years (3 - 12 years) after the onset of the condition and in half of these cases various complications are already present. In Ireland, it is estimated that there are 200,000 people with diabetes with many unaware. The majority of these people will only be diagnosed through an acute medical event of the complications of long term untreated hyperglycaemia. A further 200,000 people have impaired glucose tolerance or "pre-diabetes" of which 40% will develop diabetes in the next 5 years if lifestyle changes are not made.